Are these beautiful, or what? Positively dreamy. 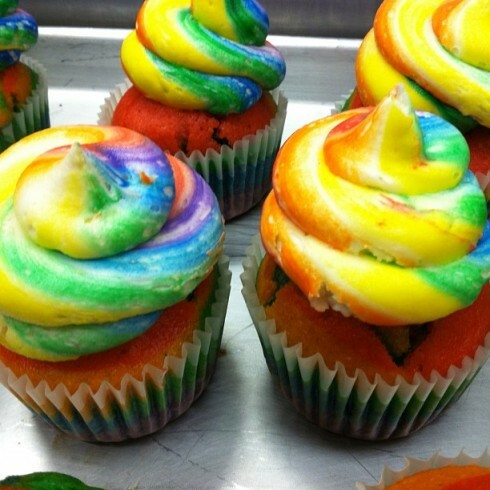 These Rainbow Cloud Cupcakes are available at Flour and Sun Bakery of Pleasantville, New York. I’ll admit–I’m not sure how they did that frosting. I haven’t really kept up with college basketball, but I believe the Indiana Hoosiers are in first place? 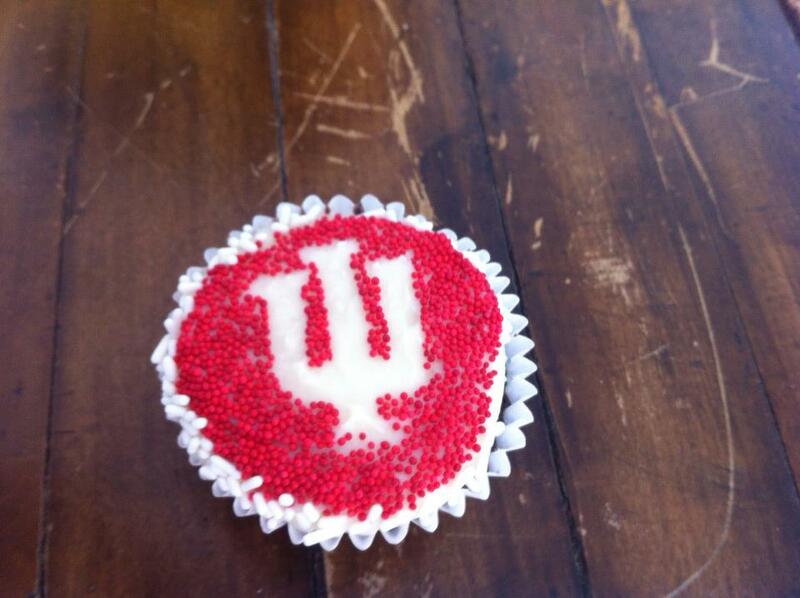 Either way, they are something to celebrate, and Indianapolis’s own cupcakery, The Flying Cupcake, is doing it in style with these clever Hoosier cupcakes. 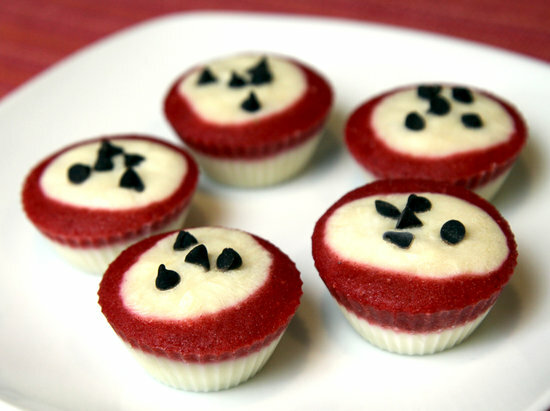 Very cute and likely quite delicious. It’s enough to make me watch college basketball! 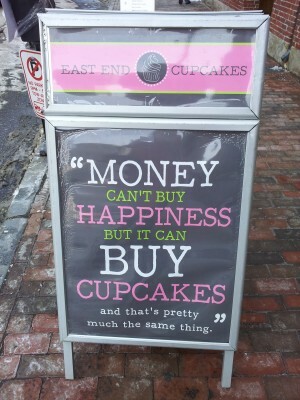 A 30 calorie cupcake? Is it possible? These frozen yogurt cupcakes are easy to make (only 4 ingredients), beautiful, and good for you! 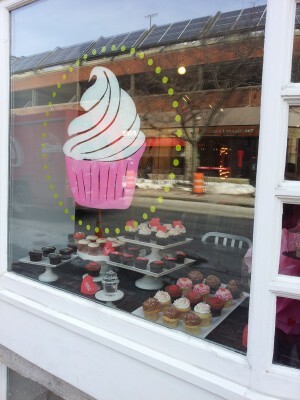 It’s the perfect spring cupcake! You can find the recipe and instructions at Fit Sugar. We recently brought you cupcake toothpaste, but we don’t want your dental care to be incomplete. 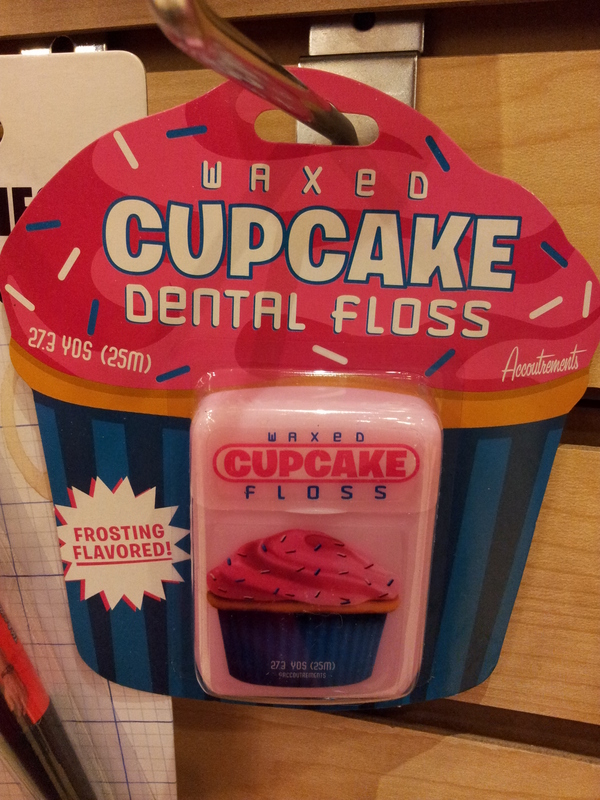 So here’s your cupcake dental floss. Yum or ew? I found this sweet string at the local comic book store–what, that’s not where you buy your toiletries?–but you can also get some via Amazon. Don’t forget to floss! It’s been a while since a cupcake flavor has surprised and delighted me the way this does: White Russian and Banana Bourbon. Oh. My. How many can I eat and still drive home? 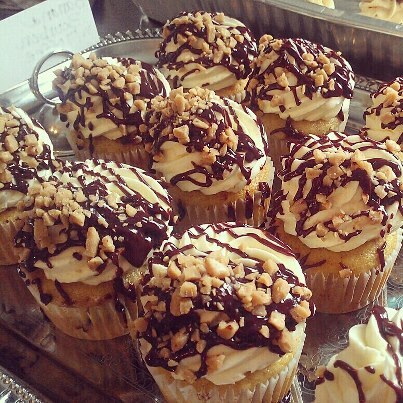 I found these delectable creations at Silver Spoon Bakery of East Greenwich, Rhode Island. 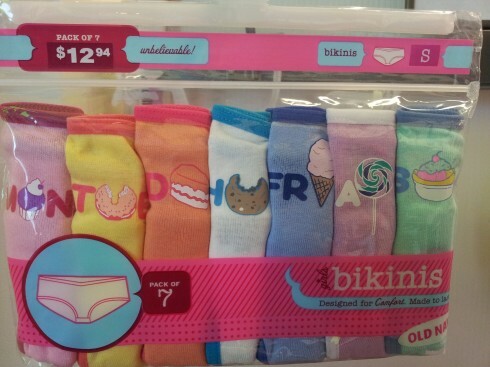 Just spotted these girls’ undies at Old Navy. 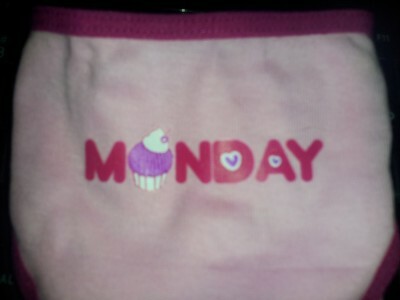 Still not sure what the point of labeling your undies with days of the week is exactly, but hey–the Mondays are cute!